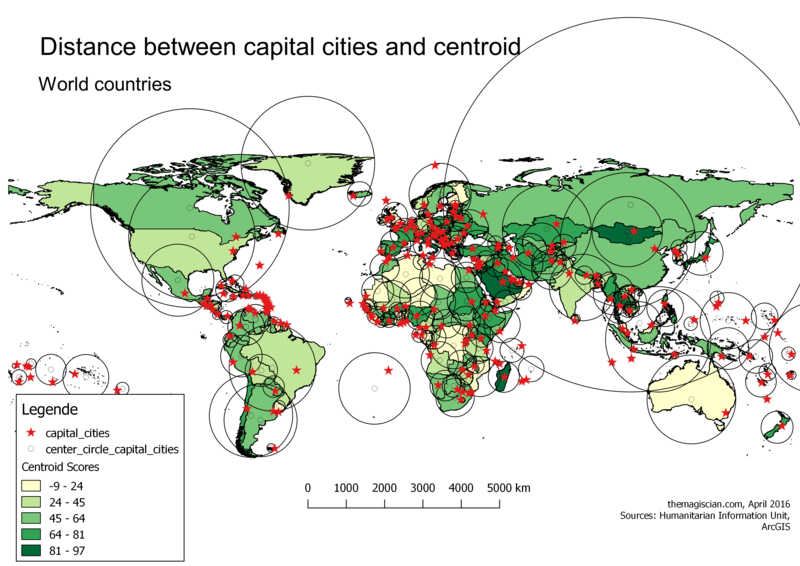 What makes a city a capital is more complicated than it seems. In most cases, the capital is the prime economic, cultural or intellectual centre that becomes the focal point of political power. This is the case for example for London, Madrid, Moscow, Rome, Beijin, Stockholm, Tokyo, and Vienna. 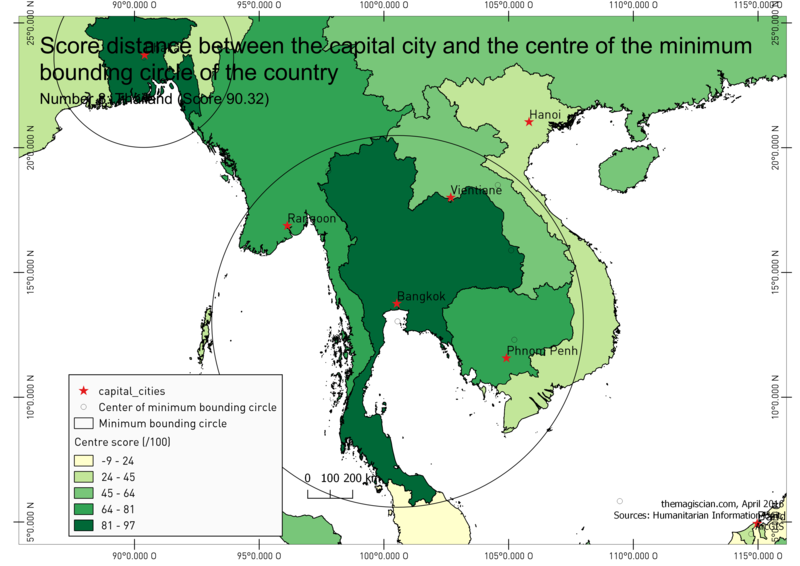 Cities which are disproportionately larger than any other city in the country, are called Primate Cities. Some examples: Accra, Athens, Belgrade, Bratislava, Brussels, Bucharest, Budapest, Buenos Aires, Bujumbura, Cairo, Copenhagen, Dublin, Kigali, Lima, Lisbon, London, Madrid, Manila, Montevideo, Mexico City, Nairobi, Paris, Prague, Riga, Santiago, Seoul, Skopje, Sofia, Stockholm, Tirana, Tokyo, Taipei, Ulaanbaatar, and Vienna. 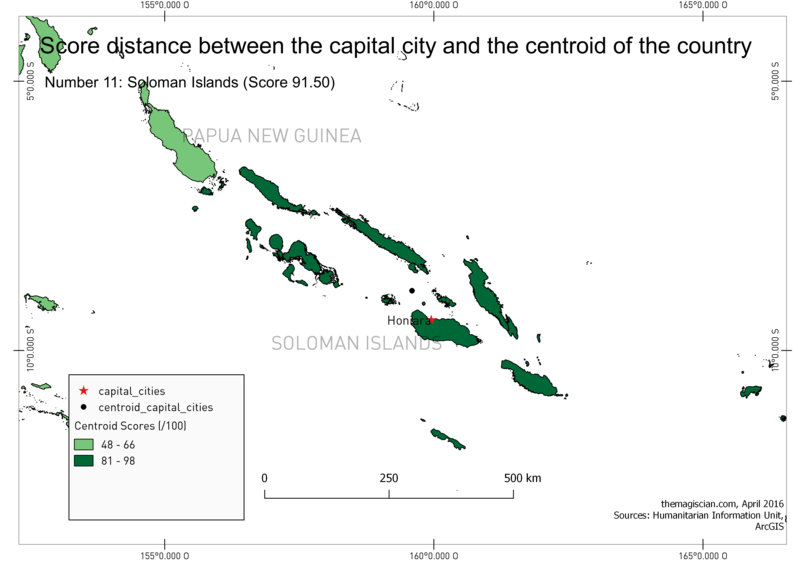 All primate cities are however not always the capital. Ottawa, the capital of Canada, is not the country’s largest city. 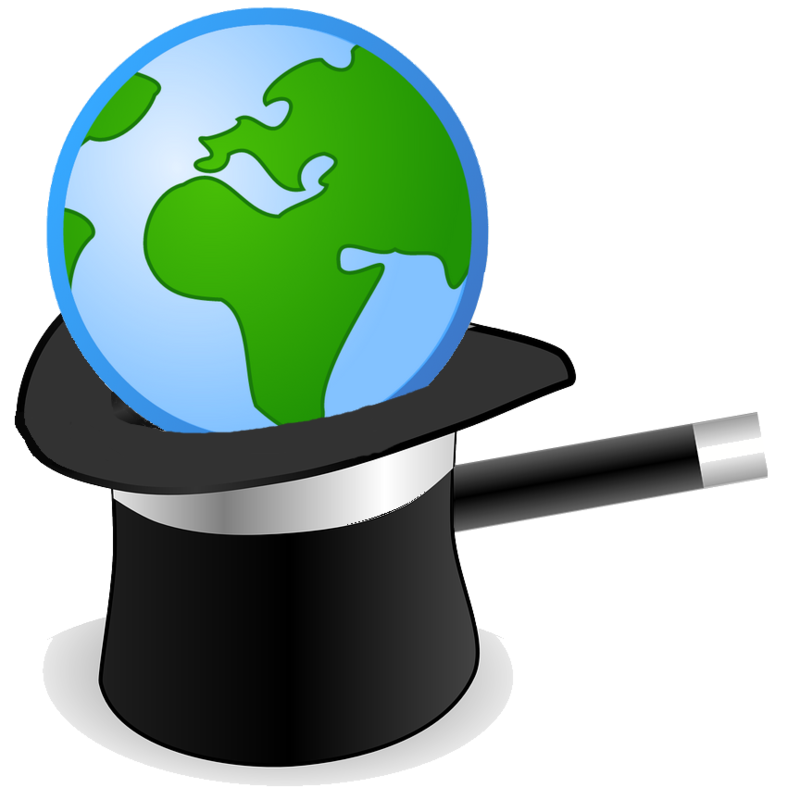 So it is for Washington DC (USA), Canberra (Australia), Brasilia (Brazil), Beijing (China), etc. 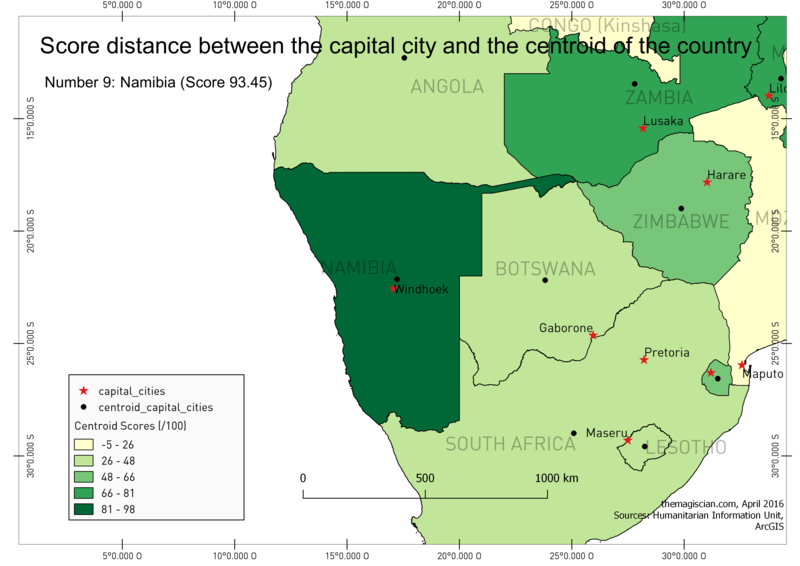 The capital city is often defined by constitution. 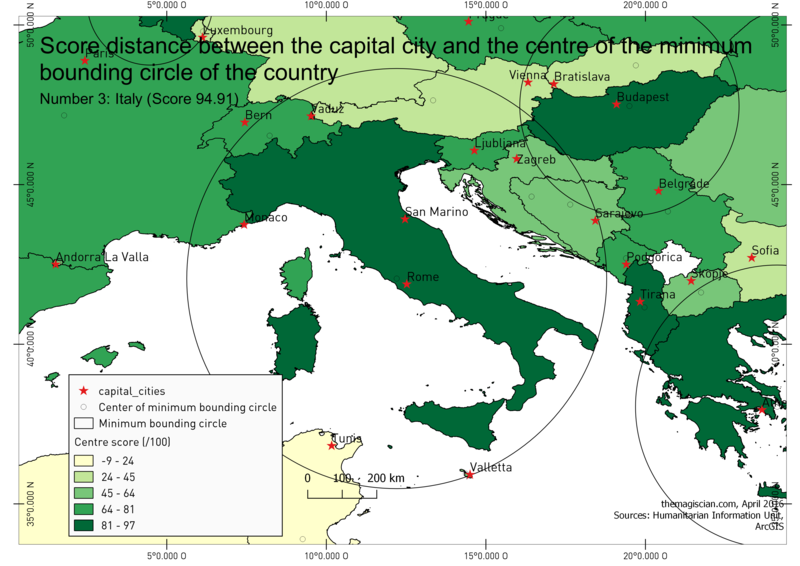 De facto capital cities are, for example, such as Bern, Edinburgh, Lisbon, London, Paris, Wellington. While most capital cities are chosen from an existing city, some countries have decided to create new cities to set their capital cities there. These cities are called “planned cities”. 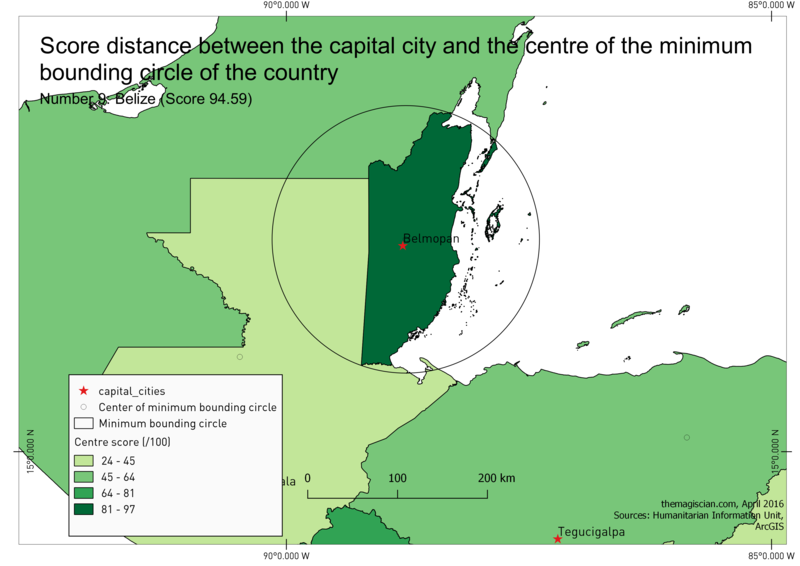 Here’s a list of planned capitals: La Plata, Buenos Aires Province, Argentina, Abuja, Nigeria (1991); Aracaju, Sergipe, Brazil (1855); Ankara, Turkey (1923); Austin, Texas, USA (1839); Belmopan, Belize (1970); Belo Horizonte, Minas Gerais, Brazil (1897); Dhaka, Bangladesh (1971); Brasília, Brazil (1960); Canberra, Australia (1927); Goiânia, Goiás, Brazil (1933); Indianapolis, Indiana, USA (1825); Islamabad, Pakistan (1960); Frankfort, Kentucky, USA (1792); Jefferson City, Missouri, USA (1821); Jhongsing New Village, Taiwan (1955); New Delhi, India (1911); Oklahoma City, Oklahoma, USA (1889); Ottawa, Ontario, Canada (1857); Palmas, Tocantins, Brazil (1989); Quezon City, Philippines (1948–76); Raleigh, North Carolina, USA (1792); Valletta, Malta (1571); Washington D.C., USA (1800); and Wellington, New Zealand (1865). 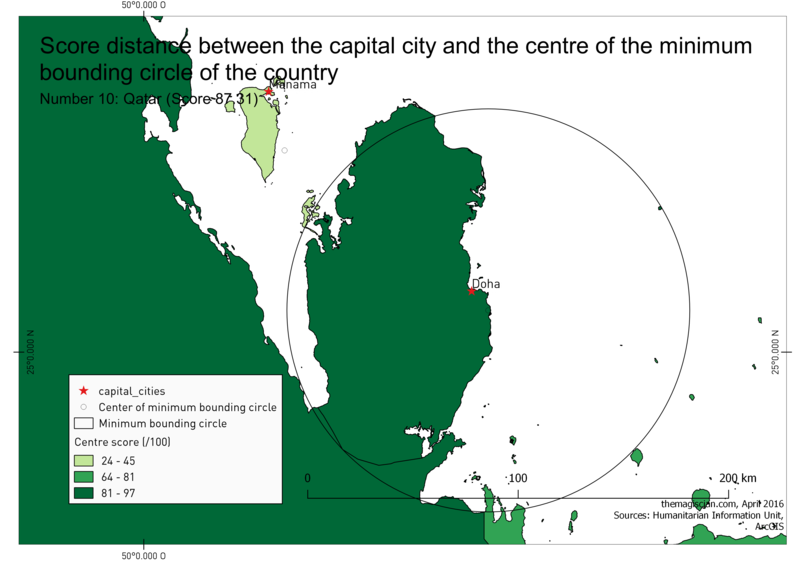 The reason for creating a new city as a capital can be overcrowding, the search for a better climate for the capital city, or a new city as a compromise between two competing cities. Canberra, for example, was created as Sydney and Melbourne competed for being Australia’s capital. 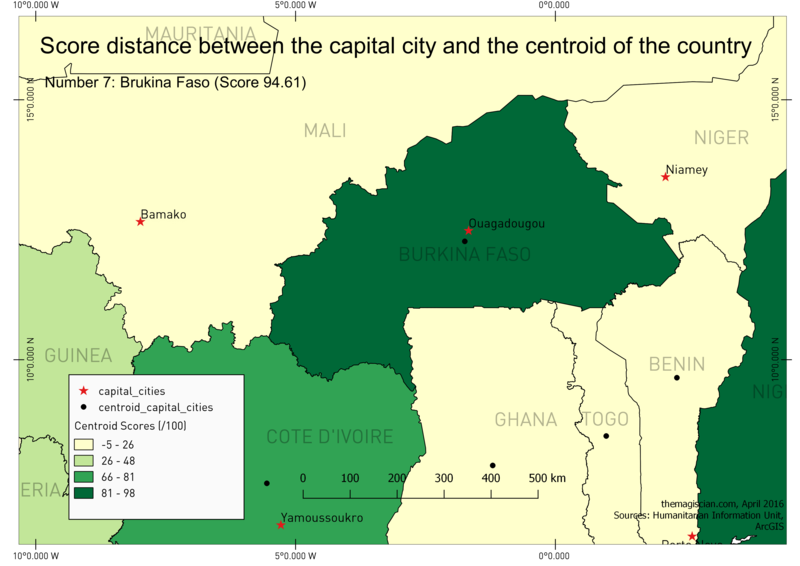 There is also a case where a city is claimed as a capital by two countries. Jerusalem is both claimed by Israel and by Palestine. 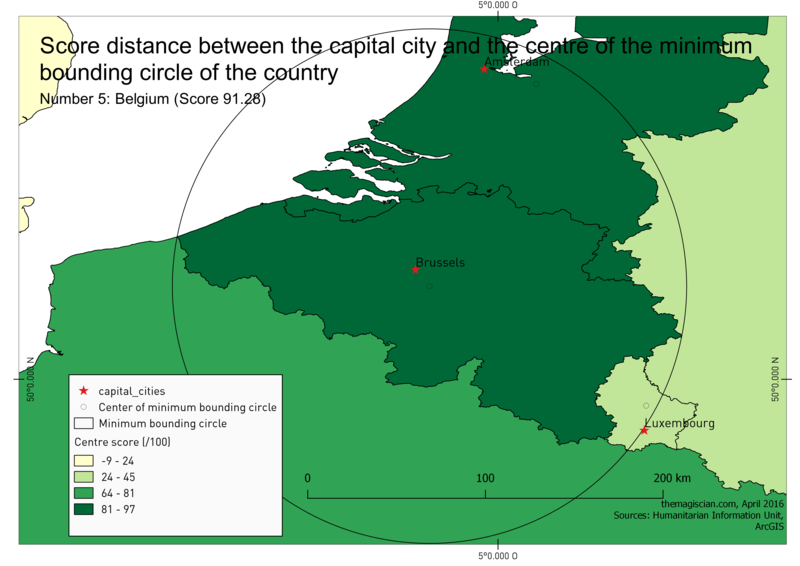 Before continuing through the typology of capital cities, let’s go straight to the main topic of this article: are the capital located in the centre of their country? In other word, are they located at equal distance of all of their border? 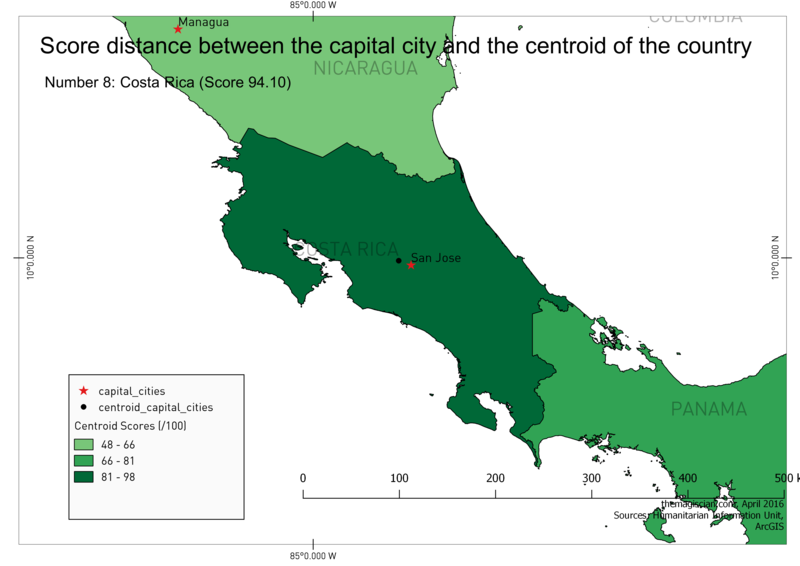 We could go from the hypothesis that a capital should be central as they minimize the distance from every point of the country. 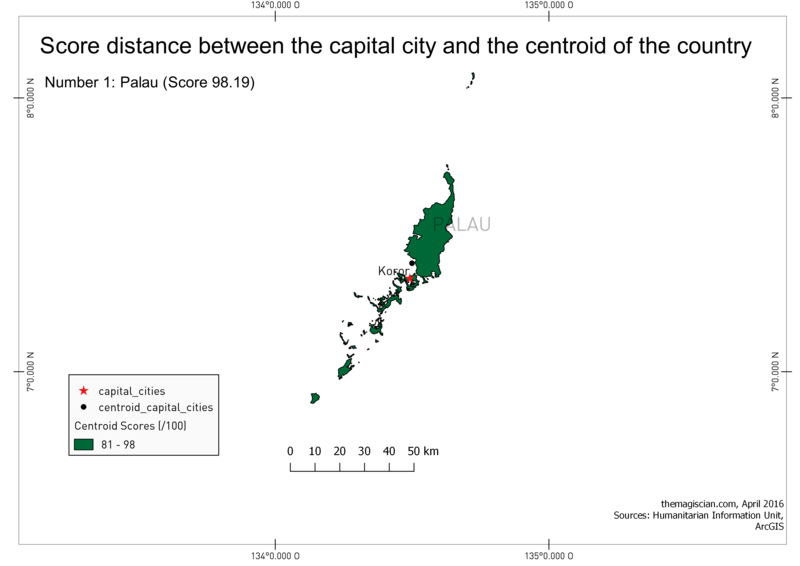 We know for sure that the population is not equally distributed in every country but from a geometric perspective, let’s find out how the capitals are located within their country! Centroid or centre of bounding circle? I used two different approaches to find out the “centre” point of the countries. One is to determine the centroid, the other is the centre of the bounding circle. They two give different perspectives of the problem. What do we get as results? Click here to get the full list. Palau tops the list! 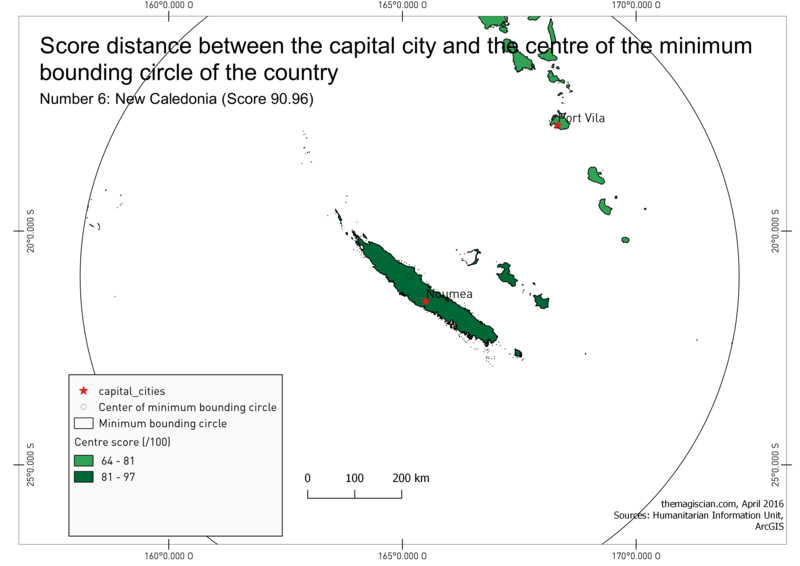 It is a small island country whose population is spread accross 250 islands in the Pacific. 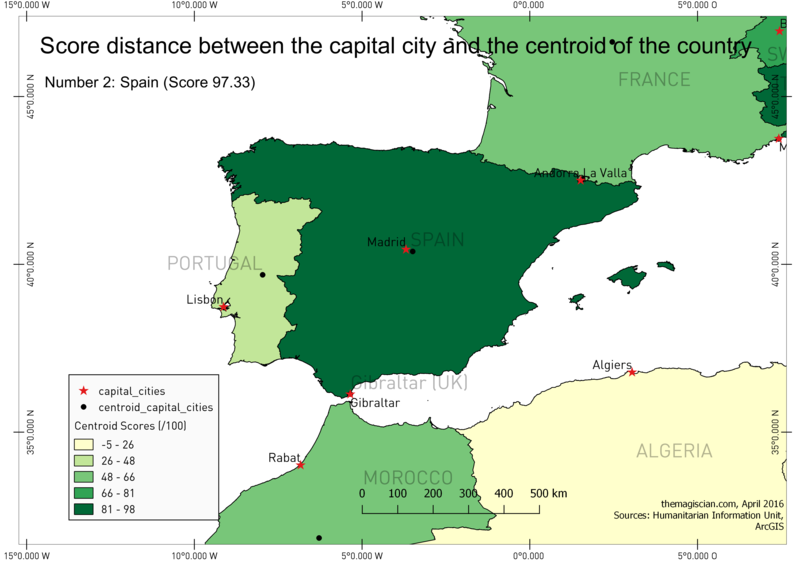 Spain, as a continental country, takes number 2 as a well chosen centre capital city. Eritrea is the third in our list. IMPORTANT NOTICE: In order to treat countries equally, whether they contains remote islands or not, I decided to only keep the main mainlands. The centroid of the USA, for example, would have been placed somewhere near to the pacific if we had kept remote Alaska and Hawaii. So would have been for Spain when having kept the Canary Islands. As said, main mainland can contain islands such as for the country islands, Greece with its rosary of islands, etc. See details in the Recipe section at the bottom of the article. Here are the maps to illustrate. Who are the best pupils in the class? Different approach, different results. The ranking is a bit shaken up as we’re now taking into account the distance between the capital city and the centre of the minimum bounding circle of the country. IMPORTANT NOTICE: In order to treat countries equally, whether they contains remote islands or not, I decided to only keep the main mainlands. The centre of the minimum bounding circle the USA, for example, would have been placed somewhere near to the pacific if we had kept remote Alaska and Hawaii. 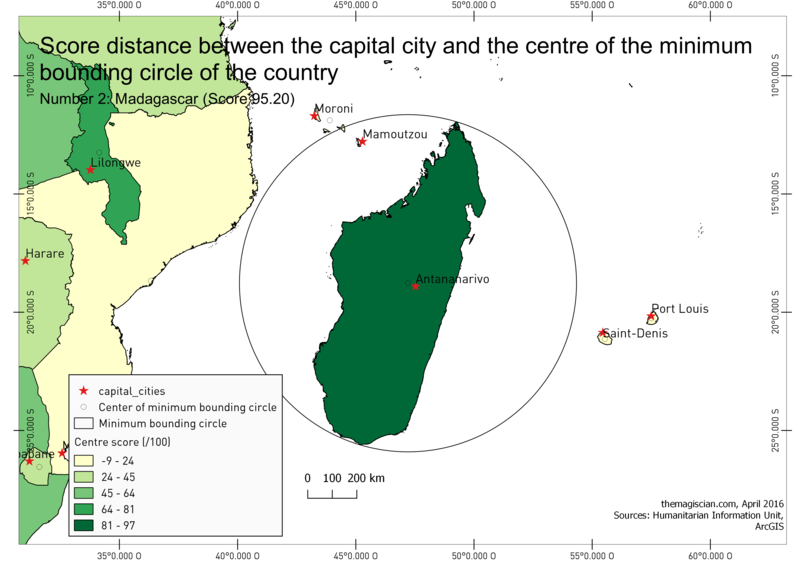 So would be the minimum bounding circle be stretched for Spain when having kept the Canary Islands. 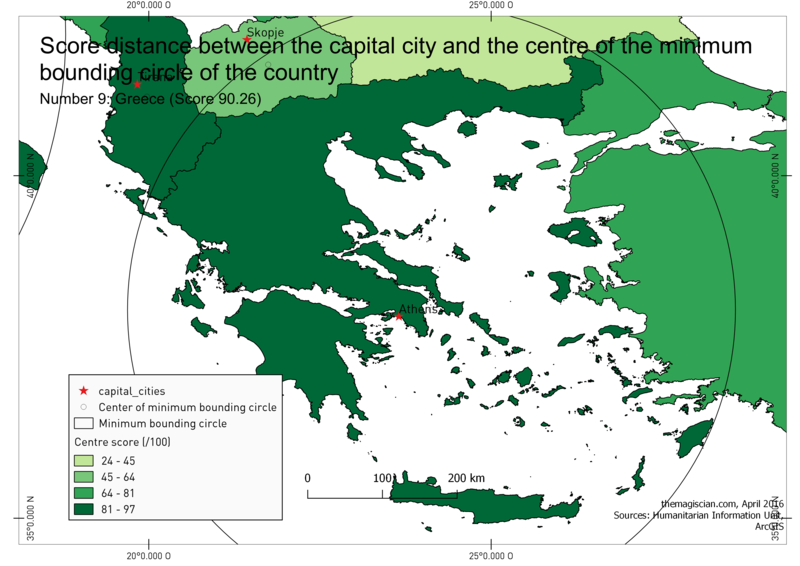 As said, main mainland can contain islands such as for the country islands, Greece with its rosary of islands, etc. See details in the Recipe section at the bottom of the article. 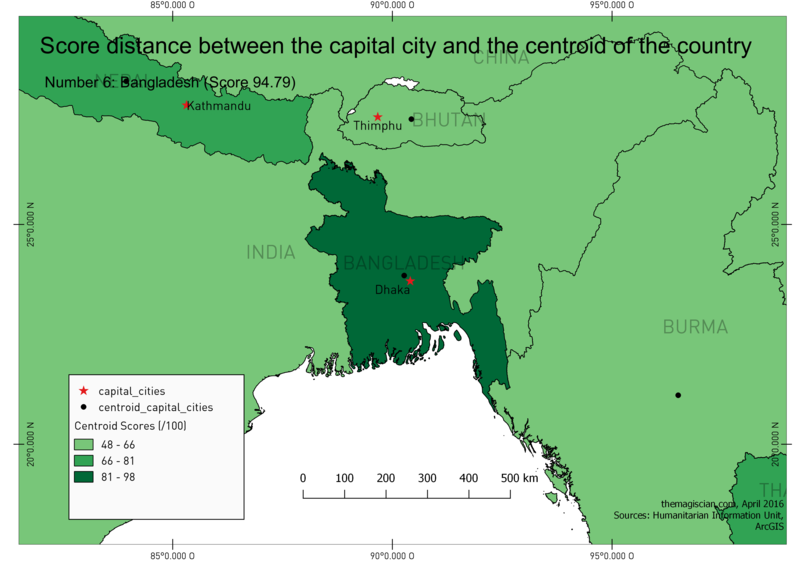 Bangladesh is on the top of our list with its capital city located just as far as 11 km ! Recipe: To reproduce at home! All the script to reproduce are here. We need the capital cities and the countries. This last shapefile has to be cleaned out as it contains both cities and capital cities. 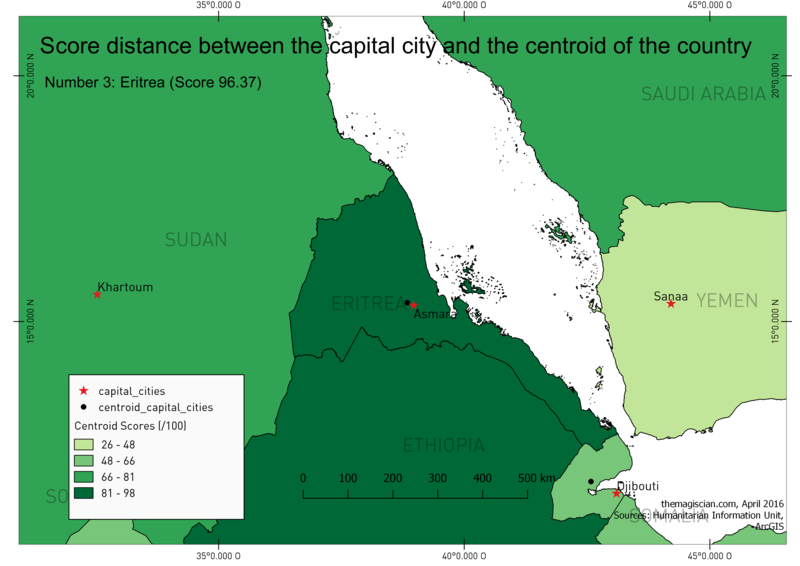 I used QGIS for filtering out the capital cities (can be done in PostGIS after the upload as well). A lot of things have to be cleaned out. Here are they (please see this script for the full stack of things to clean out). Some countries extents beyond the 180° meridian line. The calculus of the central point would hence be somewhere in the Atlantic. We do not want that and we add 360° to all these countries (FIJI, RUSSIA, TUVALU, KIRIBATI). The strategy is to keep only the mainlands for the calculations. For example, if we keep the whole USA, the central points would be near the Pacific coast as we have to take into account Alaska and Hawaii. For other countries, we delete the small remote islands. 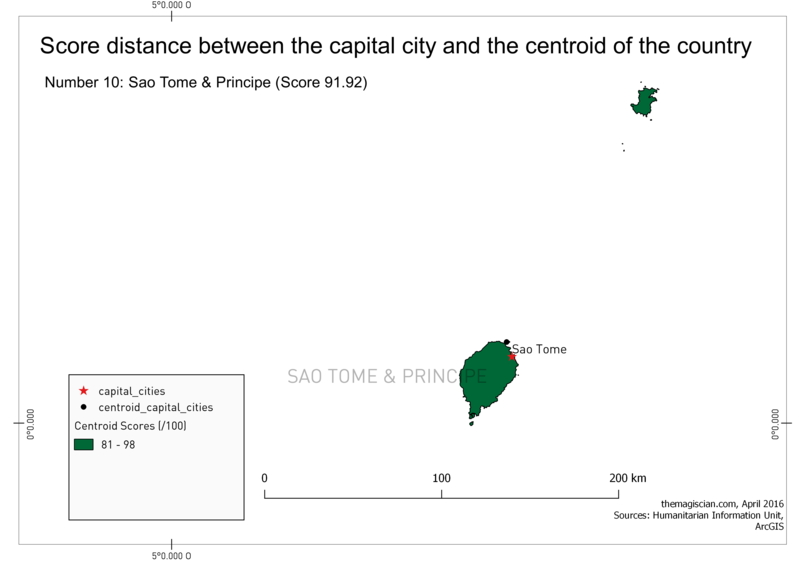 We add a common country name attribute to the capital cities layer. We need it in order to perform joins between them and the countries. As all of the process seems complicated at first sight, it is not anymore once digged into it. If you have any problem, do not hesitate to contact me! My first map: what is yours?